A book exhibition will open on November 12 at Almedalsbiblioteket, which will show a selection of books from the library of the former gymnasium and grammar schools in Visby, a collection now at Almedalsbiblioteket. The exhibition is made by Almedalsbiblioteket and Uppsala University Library. Librarian Director at Uppsala University Library Lars Burman is the opening speaker and the exhibition catalogue “Läroverkssamlingen i ljuset” will be released. The choir Visby Voices will entertain and Eva Sjöstrand talk about the situation for young girls in Visby in the late 1800s. The book collection has its roots in different schools in Visby. It contains about 25-30 000 books in a variety of subjects, of with two are incunables printed in 1494. Most of these books have been donated to the schools through the ages. 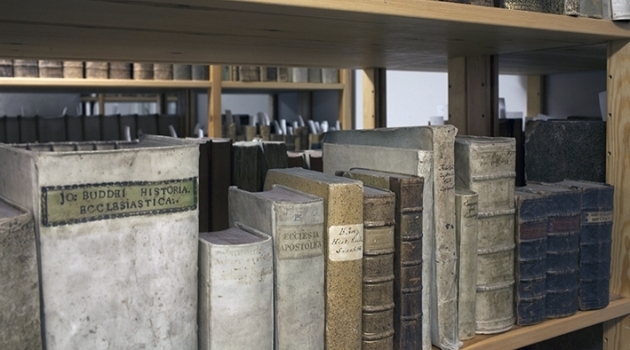 A selection of books from the collection will be on display during the autumn, and a series of lectures on different aspects of the collection will be held.